According to the Oxford dictionary, corruption can be defined as dishonest or illegal behaviour, especially from people in authority; examples of corruption are bribery, violating court orders, perjury, nepotism, certificate forgery etc. According to the supposed or new version of Buhari in APC rally in Ebonyi state and I quote "I’m not corrupt”. The world is fully aware that in Nigeria corruption is a tradition and in Nigeria the two versions of president (Buhari) both the first and second versions of Buhari are immensely rooted in corruption that is both Jubril and the actual Buhari, including the wave of the political kidnapping of IPOB members and political oppositions. The first version of Buhari was among the people that assassinated general Aguiyi Ironsi on 29th July 1966, he committed genocide in the year 1967 to 1970 during the Biafra genocide. He was involved in a treasonable act in 1983 by overthrowing a democratically elected government of late Alhaji Shehu Shagari, Muhammadu Buhari abducted Umaru Diko in 1984 from united kingdom. As petroleum Trust Fund chairman, he masterminded high-class fraudulent activities where he looted billions of dollars. 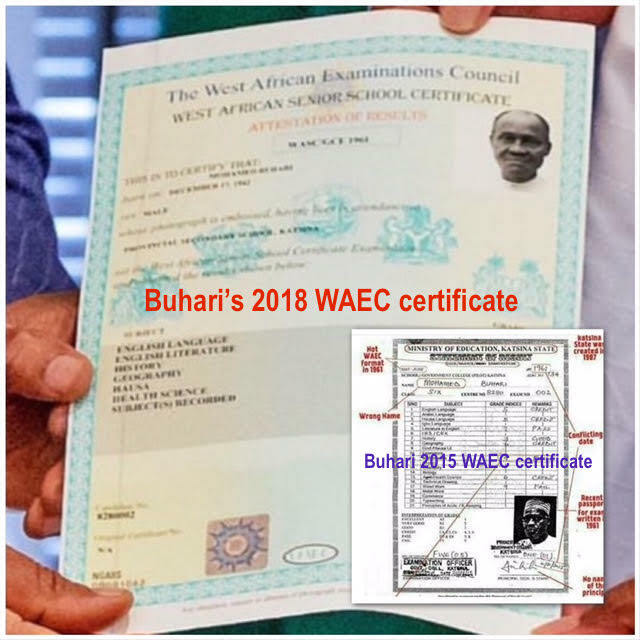 Buhari forged his WAEC certificate in 2015 and 2018, he has two different WAEC certificates for 2015 and 2018. He is biased against perceived enemies and plays acrimonious and sentimental politics. 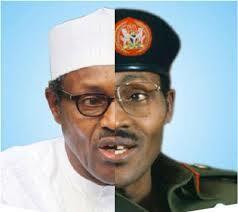 He is globally known as a tyrant, he perjured by saying that Sani Abacha didn't loot Nigerian funds. He has made a lot of hate speeches like “he will favour those that voted for him than those that didn't vote for him. Countless times he had serially disobeyed court orders and also violated Nigerian Constitution example; he boldly said in his press conference in December 2015 that he would not release the supreme leader of IPOB Mazi Nnamdi Kanu. He refused to release the leader of Shiite Muslim movement Ibrahim El Zakzaky and the former National Security adviser to former president Good luck Jonathan, Colonel Sambo Dasuki after uncountable orders from both ECOWAS court and Nigerian courts to release the men mentioned above. President Buhari commanded the killing of IPOB members in National high School Aba and Nkpor, the massacre of Christians and Shiite Muslim between 2015 and 2016 respectively. To crown it all, he never gave an account of looted funds he collected from looters nor render account as petroleum minister till date. The second version of Buhari, the impostor and APC comedian followed suit. He continued where the first version of Buhari ended. The second version of Buhari started his genocide journey by killing the IPOB members in September 14th, 2017 through the notorious operation Python dance (ll). 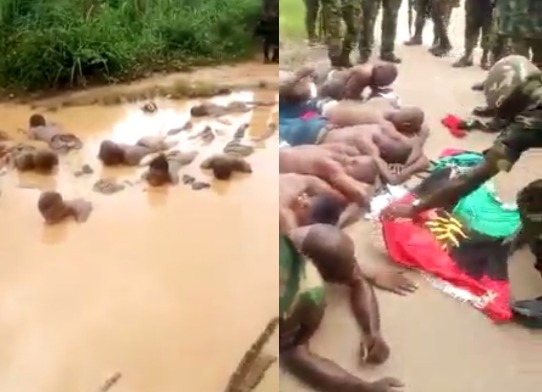 Uncountable Biafrans lost their lives during this devilish operation, many permanently disfigured and missing cases of IPOB members increased astronomically. It was also on that dark day that the supreme leader of IPOB, Mazi Nnamdi Kanu escaped being murdered. Apart from thousands massacred in Kaduna state in 2015, the Nigerian army murdered more than a hundred and fifty Shiite Muslims in Abuja in late 2018. Abduction and incarceration of political oppositions or any individual that questions his administration including IPOB members is now a norm. Buhari always dishes out death threats through his killing machine of (Nigerian military and masked DSS), he also customized operation Python dance as a murderous platform to wipe out perceived foes like IPOB, Christians, Shiite Muslims and his political opponents. He forcefully removes anyone he sees as a threat both elected or appointed without due process either by rigging or outright removal. Ekiti and Osun states election are evidence including the case of the former chief justice of Nigeria, Justice Onoghen can authenticate my above claims. With the detailed atrocities mentioned above, crimes and corruption in the highest order, the world should understand why IPOB chose and must boycott 16th February presidential election in 2019 and other forthcoming elections in Nigeria. IPOB urged all Biafrans to sit-at-home, respect and obey Biafran Referendum on the same 16th February 2019 because" when dictatorship is a fact, revolution becomes a right according to Victor Hugo the French poet. If the above criminal acts are not Corruption, then the latest version of Buhari should tell the world the simple meaning of the word "corruption”. Both versions of Buhari championed and still championing corruption in Nigeria.